Winter is a great time to amp up the glamour. Magazines are doing some of the most dazzling editorials right now as we prepare for end of the year celebrations and galas. 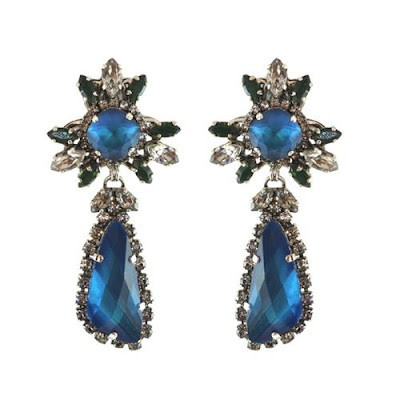 We are seeing a lot of statement chandelier earrings with jewelled tones: some that are dark and mysterious like black and Sapphire blue, and some brighter shades like jades and emeralds. Dark jewels are stark, minimal, and incredibly elegant. 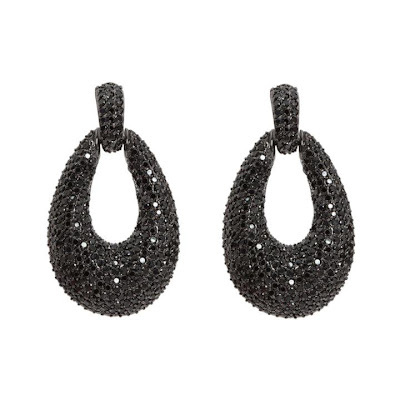 We just received these beautiful sparkling pave ones from Noir. And we can never get enough of Siman Tu, of course. Blue is always so dreamy and romantic. 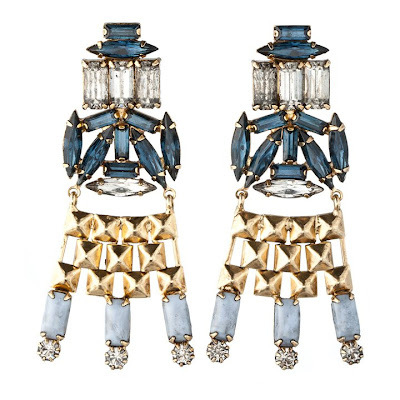 We love our new Erickson Beamon earringss -- so incredibly glamorous and sparkly! And we also adore Dannijo's art deco inspired blue and gold statement chandeliers. 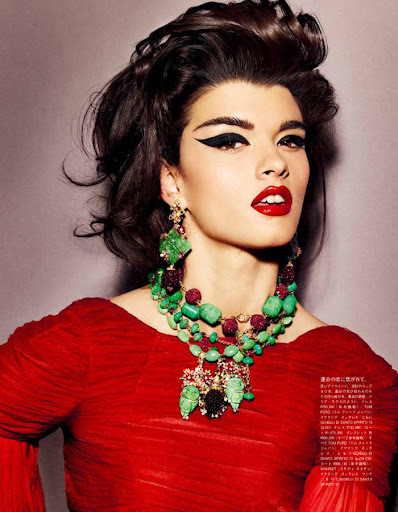 Lastly, we love bright and rich jade and emerald hues, as worn by supermodel Crystal Renn in Vogue. We just received these vintage YSL drop earrings from the Carole Tanenbaum collection, and they are just so perfect for the look! 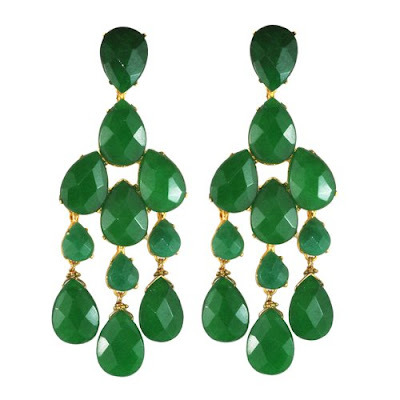 And, of course, our trusty Siman Tu green aventurine chandeliers are always our go-tos for a glamours evening. 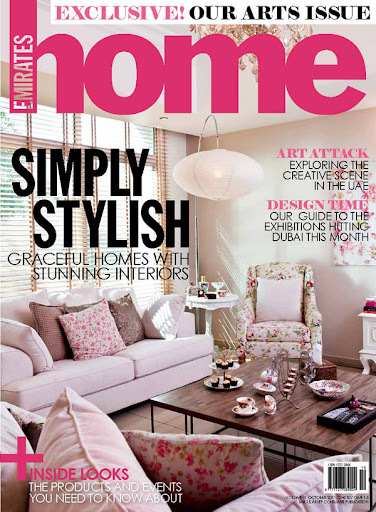 Sophie's beautiful villa is featured on the cover of the October issue of Emirates Home. 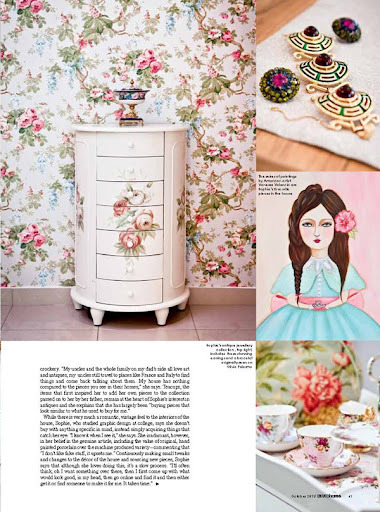 Being a true girl's girl, Sophie's home is filled with feminine florals, pastel shades, and pretty antiques. Writer Nora Elias and photographer Isidora Bojovic wonderfully capture the nature of Sophie's sense of aesthetic, that is very much the basis of Sophie's Closet. Check out the full article below! 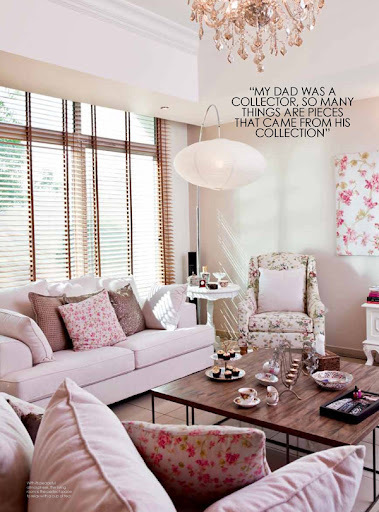 As you walk into Sophie Katirai’s home you’re immediately struck by how gentle and quiet it is. Centrally located just off Satwa Road, no traffic noise or other disturbances reach the peaceful confines of the villa and, for the time being at least, not a bark is heard from the four dogs currently in residence. 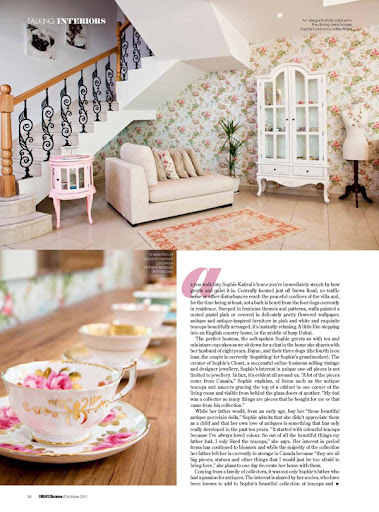 Steeped in feminine themes and patterns, walls painted a muted pastel pink or covered in delicately pretty flowered wallpaper, antique and antique-inspired furniture in pink and white and exquisite teacups beautifully arranged, it’s instantly relaxing. 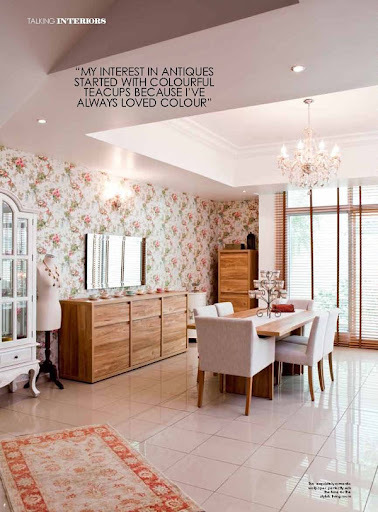 A little like stepping into an English country home, in the middle of busy Dubai. While her father would, from an early age, buy her “these beautiful antique porcelain dolls,” Sophie admits that she didn’t appreciate them as a child and that her own love of antiques is something that has only really developed in the past ten years. 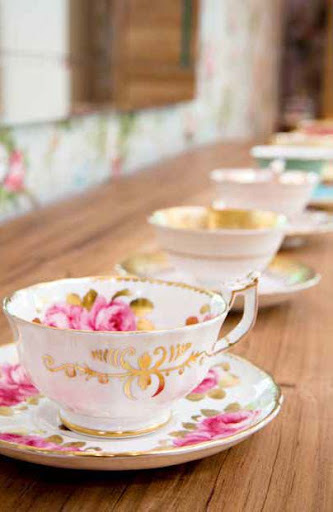 “It started with colourful teacups because I’ve always loved colour. 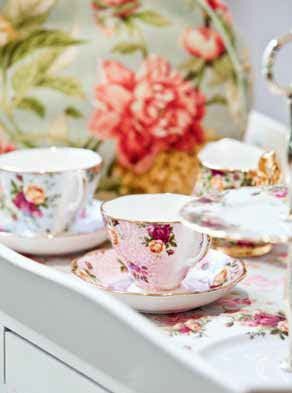 So out of all the beautiful things my father had, I only liked the teacups,” she says. Her interest in period items has continued to blossom and while the majority of the collection her father left her is currently in storage in Canada because “they are all big pieces, statues and other things that I would just be too afraid to bring here,” she plans to one day decorate her home with them. Asked if she has any favourites among the many beautiful items in her home, Sophie highlights a series of paintings by American artist Vanessa Valencia. 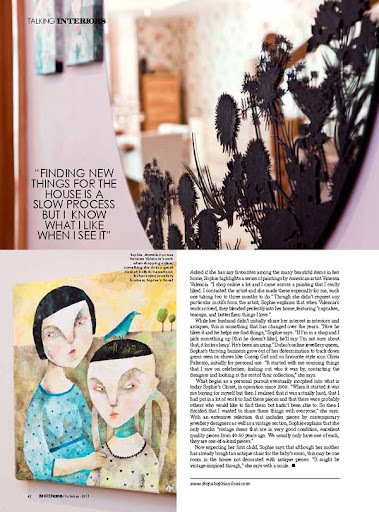 “I shop online a lot and I came across a painting that I really liked. I contacted the artist and she made these especially for me, each one taking two to three months to do.” Though she didn’t request any particular motifs from the artist, Sophie explains that when Valencia’s work arrived, they blended perfectly into her home, featuring “cupcakes, teacups, and butterflies; things I love.” While her husband didn’t initially share her interest in interiors and antiques, this is something that has changed over the years. “Now he likes it and he helps me find things,” Sophie says. “If I’m in a shop and I pick something up [that he doesn’t like], he’ll say ‘I’m not sure about that, it looks cheap’. 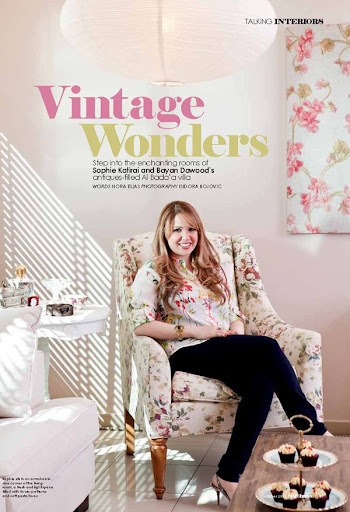 He’s been amazing.” Dubai’s online jewellery queen, Sophie’s thriving business grew out of her determination to track down gems seen on shows like Gossip Girl and on favourite style icon Olivia Palermo, initially for personal use. “It started with me sourcing things that I saw on celebrities; finding out who it was by, contacting the designer and looking at the rest of their collection,” she says. Award winning designer Eddie Borgo combines traditions of American costume jewellery with inspirations taken from Rock and Roll, and its New York scene in particular. Having created custom pieces for designers Tabitha Simmons and Phillip Lim, Eddio Borgo launched his own line in 2009. Since, his pieces have become must-haves for every serious fashion connoisseur and featured in every single magazine from Vogue to Elle to Harper’s Bazaar. Last year, he won the CFDA award for Accessory Design. Borgo is also known for his own personal style, mixing classic menswear with rock and roll sensibilities. 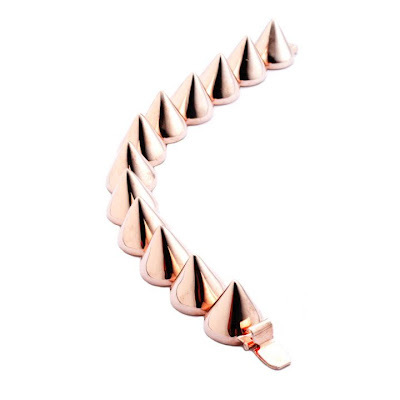 His cone bracelets are some of the most covetable among stylists and celebrities. Worn above by Jennifer Garner in W Magazine. Other famous fans include Diane Kruger, Jessica Alba and Blake Lively -- we love them all! We also love Borgo's necklaces, and Padlock Spray necklace in particular. It maintains an edgy sensibility while being very sweet and romantic at the same time. It takes a great designer to be able to do both, simultaneously. 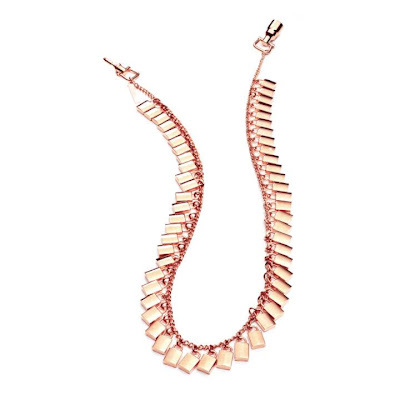 Eddie Borgo's pieces are very exclusive so we are thrilled to be carrying them. Check out the complete selection on our website. It's fashion week time and our favourite street style photographer, Tommy Ton, has been busy snapping fashion industry's most fashionable. Sure, we love the shoes and the bags, but our eyes are always on the jewellery. 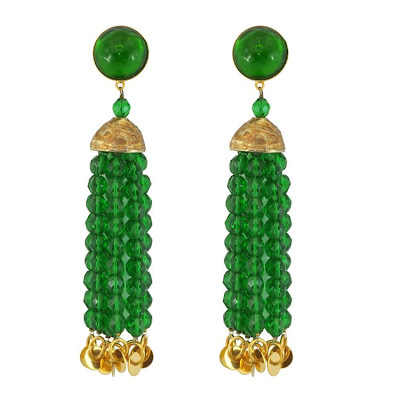 And, it seems like Tommy Ton also has a penchant for jewellery. We've noticed a lot layering of multiple bracelets and bangles (although, maybe not so functional for office work, haha). We're thinking an array of Chan Luu's and Rachel Leigh's friendship bracelets, with some glam from LeiVanKash to complete the look. 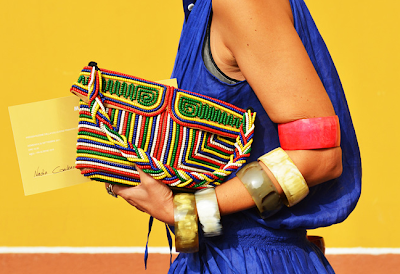 We especially love how this image and the stacking of five large bangles, paired up with this stunning beaded bag. 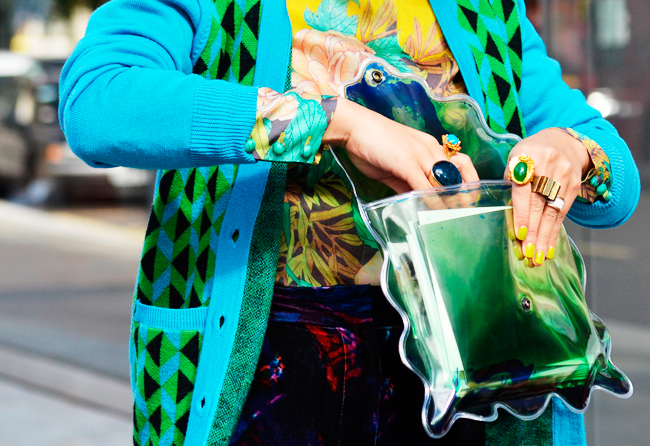 So colourful and fun! 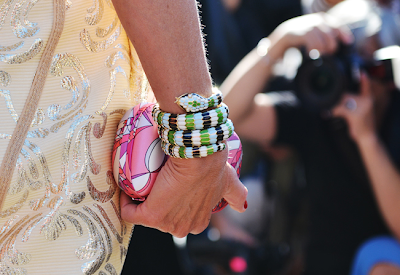 To get the look, find a couple of big chunky bangles like this one by Vita Fede. 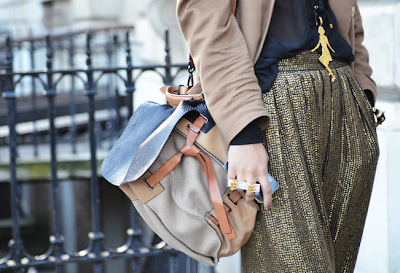 Bracelets aside, we also love styling with multiple rings. 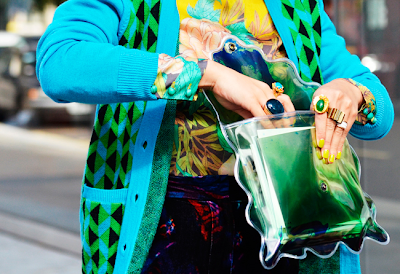 This image focusing on blues and greens (with yellow nails!) is making us pull every colour of Rachel Leigh's 'Gumball' ring out of our drawers. And, we spotted Noir's 'Brooklyn Bridge' ring, looking very chic in autumn colours and accompanied with that giant silhouette pendant. This edgy punk-rock inspired look is very elegant, not too hard. As you know, we can never pass on a good spike. Again, we are pulling out all our Noir and Joomi Lim bracelets out of our drawers. 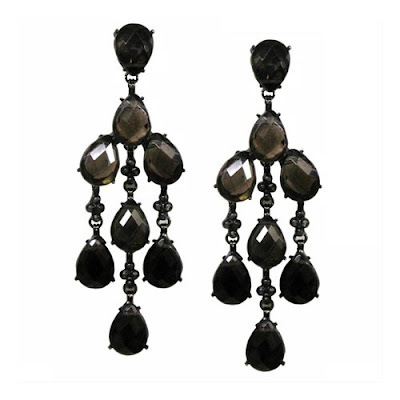 A high-end online boutique featuring a mélange of designer jewelry and accessories from around the world.